, to show the world where and when illegal logging is taking place within their protected territory. Trading Bows and Arrows for Laptops -- One Year Later, documents the story. 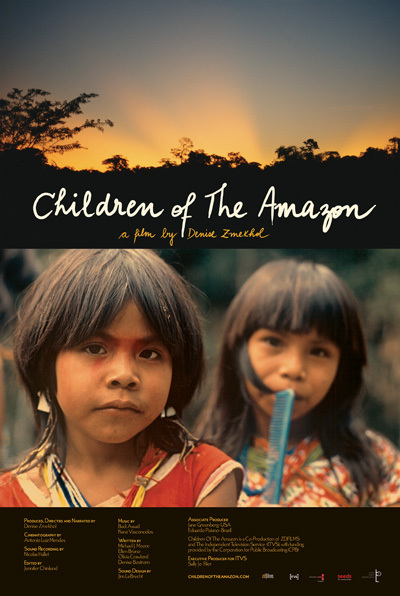 Today, on the 40th anniversary of Earth Day 2010, Denise’s film, Children of the Amazon, will air on over 100 PBS stations nationwide, as well as on Link TV. Check your local listings for your PBS affiliate’s local screening. Learn more about the film, view a trailer, watch a video about deforestation in Rondonia using Google Earth’s historical imagery and explore maps inspired by the film at www.childrenoftheamazon.com. In 2008, Brazilian filmmaker Denise Zmekhol joined the Google Earth Outreach team to train the Surui people of the Brazilian rainforest on Google tools to help preserve their way of life. One year later, in 2009, another team went back to the Amazon to teach the indigenous people how to use GPS-enabled mobile phones and mobile data collection tools, including Open Data Kit on the Android platform, to show the world where and when illegal logging is taking place within their protected territory. Trading Bows and Arrows for Laptops -- One Year Later, documents the story.